Did you know tire companies focus on charity as well as sponsorships? You have most likely seen tire brand logos on the field or racetrack walls at events. In 2017 alone, tire companies have spent more than $135 million on sports sponsorships. While sponsorships are great, charity and giving back is not a new development for tire companies. Many tire brands have a long history with charitable giving, spanning veterans’ causes to children’s rights. These five prominent tire companies are setting a gold standard that benefit a wide range of charities! Cooper Tire and the American Military go way, way back. The company got its start in WWII, producing an array of equipment to support the war effort. Now, over 70 years later, the company still makes great strides in supporting veterans and organizations that benefit American soldiers. Cooper Tire has a robust hiring program for veterans, and they’re an active member of the Army’s Partnership for Youth Success Program. 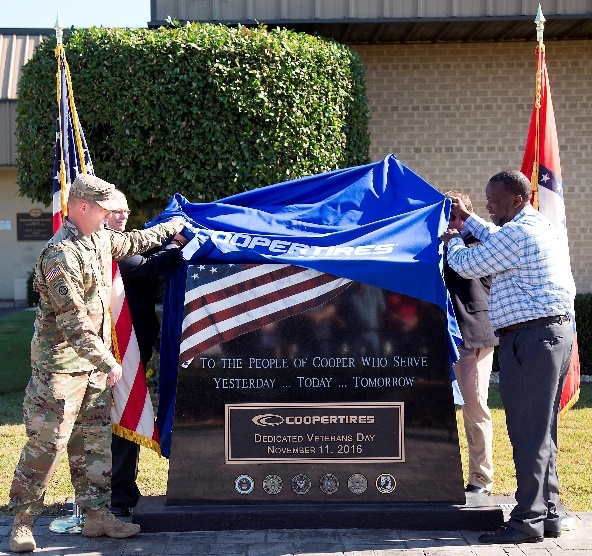 In commemoration of Veteran’s Day 2016, Cooper erected monuments honoring Veteran employees at its various plants in the US and donated $15,000 to the Intrepid Fallen Heroes Fund. Cooper Tire won the United Way’s Live United Award (https://www.liveunitedhancockcounty.org/united-way-hosts-2018-annual-meeting )in 2018 for its charity work in the annual golf tournament that has raised over a million dollars for United Way in its tenth year. Cooper has also partnered with the Breast Cancer Research Foundation and the Professional Bull Riders Association to “Think Pink” in support of breast cancer Research. 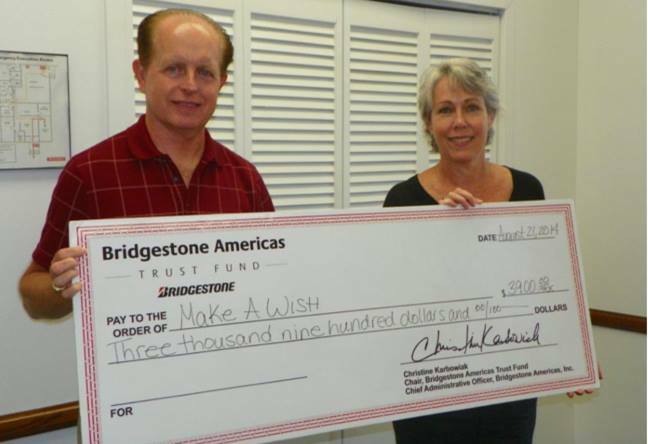 Bridgestone Tires is no stranger to charitable giving. While they’re one of the biggest players in the sports sponsorship game, they’ve also maintained the Bridgestone Americas Trust Fund since 1952. In the past five years alone, the fund has donated over $12 million to charities organizations that support education, environmental causes, and youth development. Goodyear also has a long history of supporting communities around the world with projects ranging from supporting STEM education programs in the United States to improving driver and passenger safety on the streets of India. 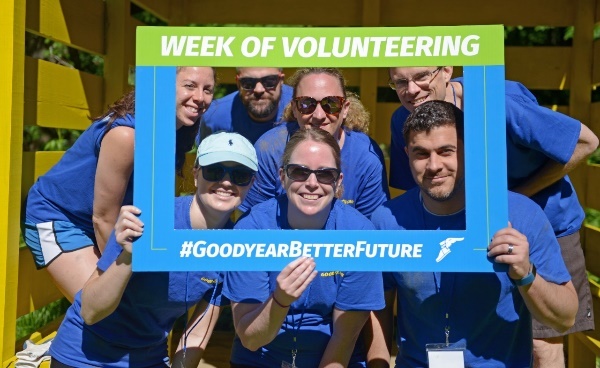 Last year, Goodyear orchestrated the first annual Global Week of Volunteering, mobilizing more than 1,200 volunteers across the globe to support communities at 69 events in six countries! Here’s a great example of where sports and charity (and tire brands!) are converging to do good: The Charity Ball organization. Since 2014, Continental has held a partnership with the charity founded by Ethan King, which spreads the love of soccer to children in impoverished communities across the globe. 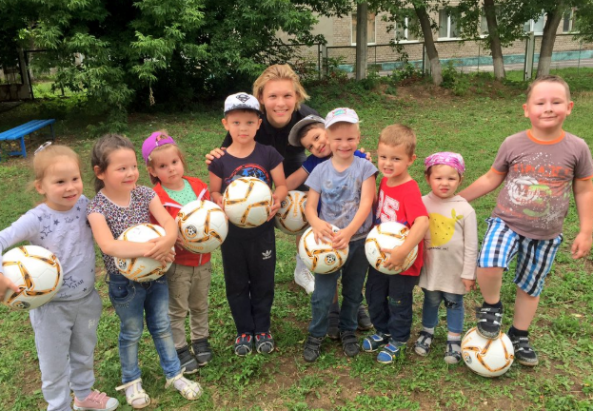 This year, over 200 soccer balls were hand-delivered to children in Russia during the final week of the 2018 World Cup. Since 1990, Hankook Tire has been spreading good through the Hankook Tire Welfare Foundation. According to the company, they’ve “pledged to pursue sustainable social value and keep ‘driving’ towards a better tomorrow. The foundation has three main areas of focus: Mobility projects, community engagement, and support for children and teens. One of their largest ongoing projects, a Social Housing Fund Program, provides housing support for at-risk populations such as marginalized women, teenagers, and individuals living with disabilities. So the next time you need tires, or see one of those tire company logos on the field or race track, now you can add one more reason to buy a certain brand based on that tire company’s charitable giving. Tires-Easy is your destination for reputable, reliable tires from the brands you know and love. With Tires-Easy you are guaranteed fast and accurate shipping, at prices that can’t be beaten. We even have several financing options that allow you to buy your tires today but pay later. Check out the full supply on tires-easy.com today.